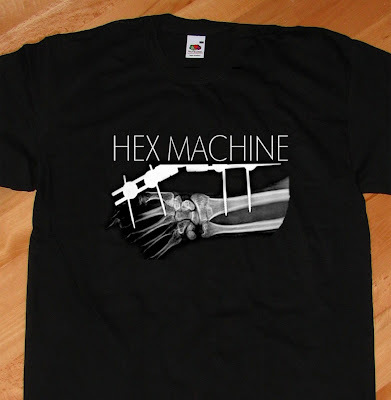 Hex machine: New black "Fixator" shirt! Brand new hot of the presses Hex Machine "Fixator" shirt! Black Fruit of the Loom 100% Heavyweight cotton shirt in S-M-L-XL-2XL! Let's get it on!